Hello! So the Big Boot Challenge isn't just about formal boots, Toni and I are looking to find lots of different types of boots, that for so long have evaded us chunky calfed ladies. 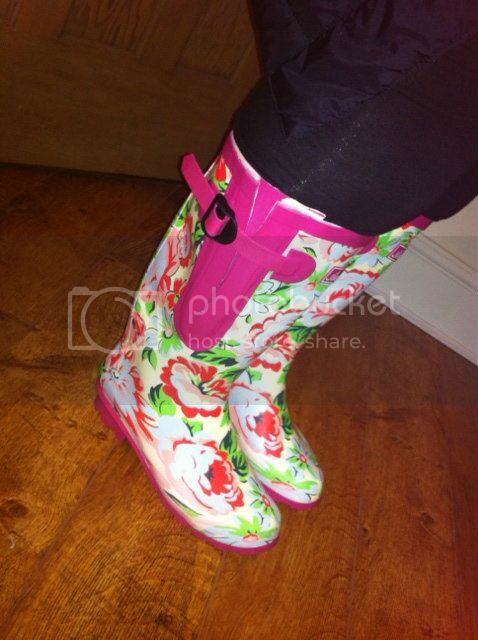 So this next instalment is all about wellies! I've never had wellies, I bought a pair last year, but they just didn't fit right, they were so small in the calf, they were more like slouchie wellies! 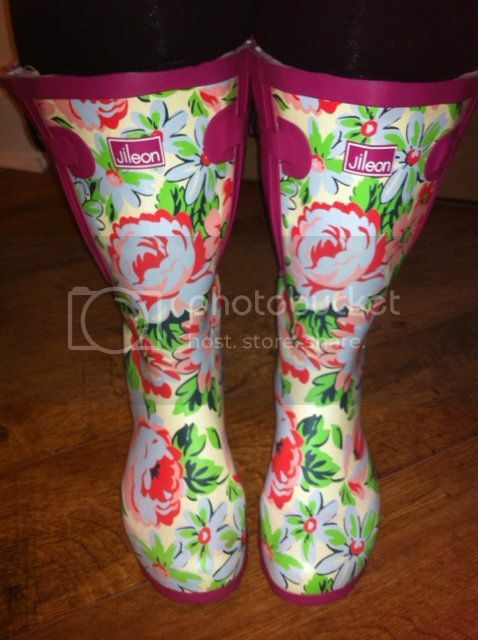 So when the lovely folk at Jileon sent a pair of their wide calf boots over I was very excited! Post poorlyness, looking a bit peaky, but ready for firework fun!! The Wellies themselves are made from a really durable rubber, the lining is really soft and warm, compared to hard, cold wellies of the past it was a revelation! I love the cute floral print and was just so happy that they actually fit. Because the buckles are adjustable I think you could easily get another couple of inches out of these and would accommodate up to a 22 inch calf. Poppy is at that age now, where she is obsessed with jumping in muddy puddles and running around on grass and leaves so I can see these getting a lot of wear!! You can see the whole wide calf range here and keep checking back as I know the fab folk at Jileon are looking to extend the wide calf range and do more funky prints and designs. They look very cute. Have you tried Duo Boots - they specialise in calves of all sizes. Cute! I want a pair too! Hope you're feeling lots better now! Wellies own a very special place in my heart. 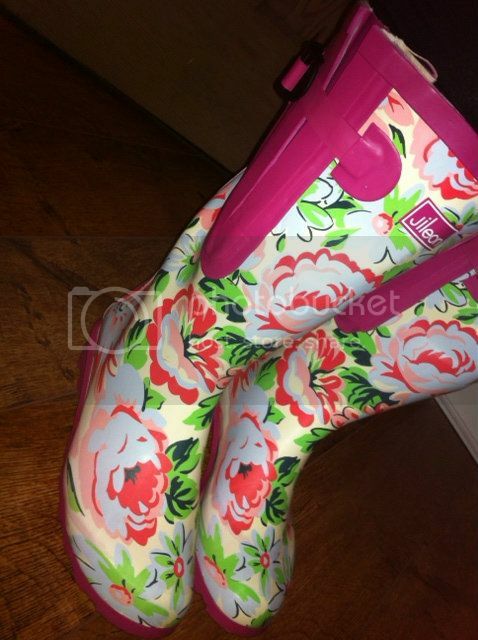 Partly because they appeal to the the five year old in me and partly because my family's nickname for me is Wellie. 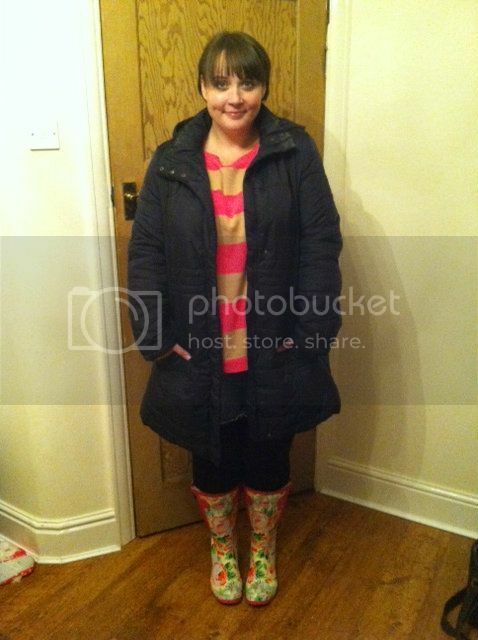 But, I have only ever had "slouchy" wellies too. I am so excited for these and would love to make a pair mine!